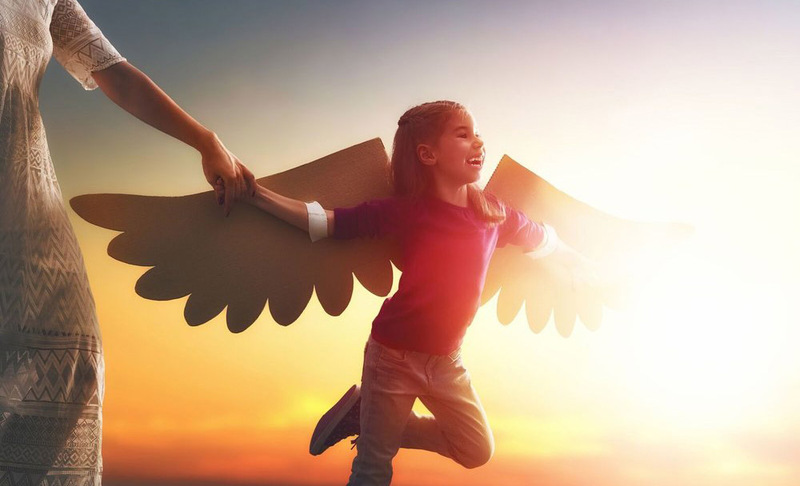 When asked which skills the children of today will need to develop to keep their jobs safe from automation, employers often highlight so-called “soft skills”, a suite of attributes that include social abilities like networking, communication, negotiation, team-building and problem-solving. At the root of these skills is how well a child gets on with others. 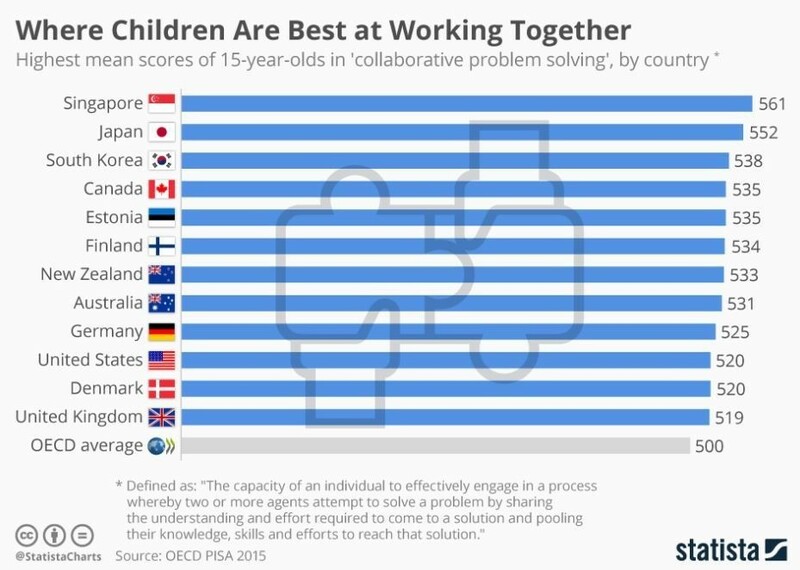 Now, an analysis of the latest PISA report (Programme for International Student Assessment), which assesses how 15-year-olds in OECD countries are performing in science, mathematics and reading, has revealed the countries in which children are best at “collaborative problem-solving”. Asian countries Singapore, Japan and South Korea top the chart, with Canada, Estonia and Finland not far behind. Denmark, the United States and United Kingdom also make the top 10. The Hamilton Project, an economic research group that is part of the US think-tank the Brookings Institution, produced a report this year that found US hiring managers were worried about a lack of both “cognitive” skills, such as good understanding of maths and language, and “non-cognitive skills” – ie the so-called “soft skills”. The Hamilton Project linked the rise in the demand for strong cognitive skills with future economic outcomes, saying that those who could develop them were more likely to be in full-time employment, while those who didn’t were more likely to be in poorer-paid jobs. It also showed how jobs requiring strong manual and maths skills had been replaced over time by careers in services and work requiring stronger social skills. The report said that while soft skills are to a certain extent innate, they can also be taught. But is that really the case? And if so, just how easy are they to learn? But, whatever qualifications, experience or technical abilities today’s job interviewees may possess, employers cannot necessarily count on them having the soft skills that are now required as soon as they walk through the door. Such skills are likely to be best acquired at an early age and the PISA analysis shows that some education systems are taking steps in the right direction. Finland has already moved to a model where collaboration is part of the regular curriculum and France is eyeing similar moves as it shakes up its education system in an effort to boost economically deprived children. However, companies will probably have to recognize that while schools and universities should teach core skills, the burden of providing much of the life-long skills learning employees are going to need will fall on them. As Vishal Sikka, the former chief executive of Infosys, wrote in the Financial Times: “Curriculums should be modernized to encourage creative problem finding and solving, and learning through doing, with mandatory computer science learning as the bedrock for enabling digital literacy. Saving Liberal Democracy from the Extremes? How Much the US is Spending on Gunshot Wounds Every Year? Why Does Age Speed Up Time?